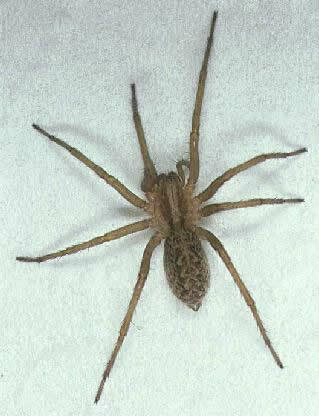 While the purported effects of hobo spider bites can go so far as to include necrosis, they are not known to be fatal to healthy humans. The necrosis in the reported cases is similar to, but less serious than, the necrosis caused by the brown recluse spider. If such a lesion is severe it may take months to heal. Other reported symptoms include intense headaches that may last from a couple of days to a week, and in some cases there were vision abnormalities and/or a general feeling of malaise. There have been numerous documented cases where suspected hobo spider bites produced such symptoms in humans, but in virtually none of these cases was the spider positively identified by an expert and directly observed by the victim in the act of biting. There is in fact only one documented case of a verified bite by a hobo spider that resulted in a necrotic skin lesion, and this was in a person who had a pre-existing medical condition that also leads to necrotic skin lesions. Further, even in a healthy human, any puncture wound has the potential to become necrotic through sepsis, and given enough bites over a long period of time, any spider that bites humans could be expected to eventually produce a necrotic lesion in at least one victim. The true percentage of bites that fail to produce necrotic symptoms is unknown, as non-symptomatic bites are very rarely reported by victims, if they are even aware they have been bitten. It is also by no means certain that the hobo spider deserves its reputation as an aggressive spider (its nickname, "aggressive house spider," came from a misinterpretation of the Latin nameAgrestis, which means rural, literally "of the fields," and is unrelated to aggression), and many scientists question the claim that the hobo spider is dangerous to humans. One line of evidence is that although the same spider occurs in Europe, bites by this species are completely unknown there. This fact is sometimes explained by claiming that T. agrestis changed its habits after moving to the U.S. becoming a much more "domestic" species, i.e., it is found primarily in houses. This explanation is, at present, pure speculation, without any supporting evidence or a proposed mechanism by which such behavioral evolution would occur. 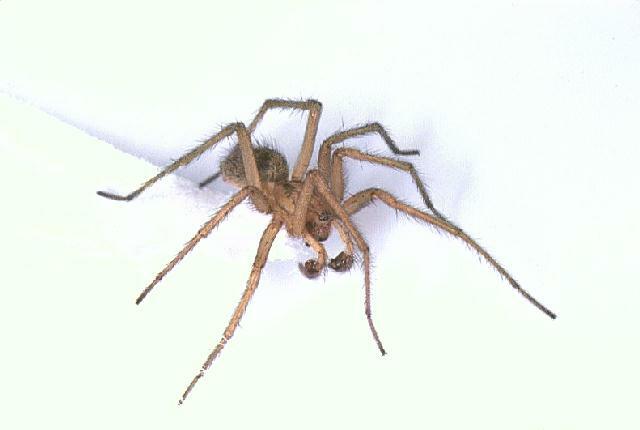 If a hobo spider is tending an egg sac, it may become aggressive if it perceives the egg sac to be threatened. However, they generally do not bite unless forced to protect themselves, and in the majority of cases the hobo spider does not actually inject venom when it does bite. Recent studies by scientists have confirmed that the venom of both European and American hobo spiders is chemically identical, so geographical differences in venom would not explain the difference in reputations of the spiders. Attempts to duplicate the rabbit skin toxicology experiment mentioned above have failed (more recent runs only produced red marks on the rabbits, rather than necrotic wounds). There are scientists who claim that at least in Canada no spider bites leading to dermal necrosis are ever caused by Tegenaria agrestis. There are also many other medical conditions (other than bite wounds), some more common than spider bites, that involve tissue necrosis. Furthermore, identification of spiders is a specialist skill and an average hospital doctor cannot be relied on to make an accurate identification of a spider species without a good microscope, some specialist spider literature, and considerable experience. A diagnosis at-a-glance by a non-expert, comparing a spider with a photo, is almost completely worthless. (For a comparison of the toxicity of various species, see the list of spiders having Medically Significant Venom.